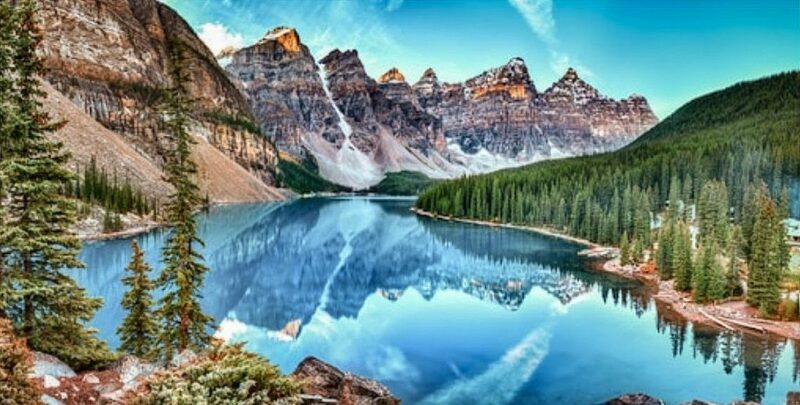 Canada is the second largest country in the world and is renowned for it’s vast natural beauty and awesome untouched landscapes. It is the northern part of North America and extends from the Atlantic to the Pacific and northward into the Arctic Ocean. Canada is made up of ten provinces and three territories, each very different and all very diverse. The vastness of Canada is reflected in its culture which is influenced by a wide range of nationalities and ethnicities that is neither French or British but a fascinating multicultural blend. In Quebec, for example there is a strong French cultural influence that is very distinct from that of English speaking Canada. The country is a mosaic of regional, aboriginal, and ethnic subcultures and although part of the British commonwealth it is technologically and economically closer to the USA. 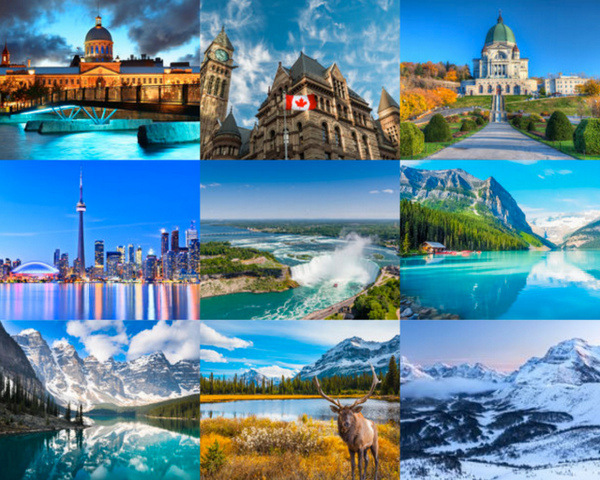 If you are looking for somewhere to stay or explore then Canada offers you a wide range of vacation rental homes, villas, cabins, ski chalets or apartments for rent at anytime of year. From five bedroom mountainside Chalets in Whistler to vacation rentals in the heart of the city. Because of its size and diversity it is not possible to summarise in a few words what the whole of the country has to offer visitors. Each region has to be taken separately. So if you are looking for a holiday homes to let in Canada that you can rent direct from owners then this guide may help or inspire you to stay or book a vacation rental from the hundreds we have listed in regions that can sometimes allow you to ski in the morning and swim in the afternoon. Atlantic Provinces: New Brunswick, Newfoundland and Labrador, Nova Scotia, Prince Edward Island. Rugged and sparsely populated, this is a region renowned for its natural beauty, particularly around coastal areas. Its largest city, Halifax, has the world’s second largest natural harbour, a unique maritime heritage and is the centre of a flourishing fishing and shipping industry. The people of the Atlantic Provinces are predominantly of Scottish and Irish descent and with a strong First Nations heritage. This region is well known for the unique accents of its people, a reminder of the Acadian French culture on Canada’s east coast. 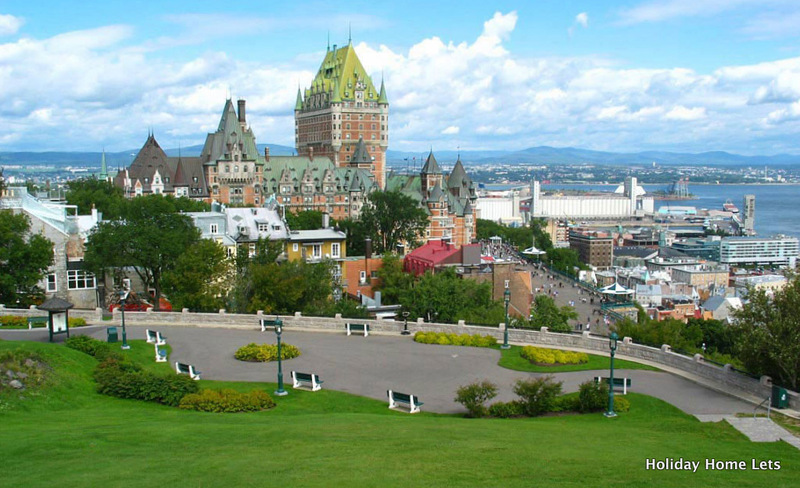 Quebec is one of the most unique regions in Canada and North America as the majority of early settlers were French who settled as part of New France, this region is very much culturally and linguistically French-Canadian. Montreal is the second largest French speaking city in the world renowned for its grand classic architecture, its extensive underground shopping malls, cosmopolitan cafe and night life and French influenced cuisine. Montreal vacation rental accommodation can easily be found along with a diverse range of Holiday Home rentals in Quebec. For history and culture Quebec City is jewel of French style, architecture and famed for it’s annual Winter Festivals and activities. This is Canada’s most populated province, Toronto, its capital, Canada’s largest city. Toronto has many ethnic groups and nationalities from around the world and many still retain their distinct language, customs, and food. As a result of this cultural mosaic, Toronto is home to many ethnic festivals throughout the year. The city is perhaps most famous for the CN Tower, the second tallest free standing structure, at over 500 metres tall, in North America. There is a glass elevator to the top with incredible views, and a glass floor – perhaps not for the faint hearted. There is also a revolving restaurant, which offers spectacular views as the sun sets over the city. There a many vacation rentals in Ontario and Toronto to choose from here. Further afield there are the Great Lakes and Niagara Falls. Many of the main attractions are within walking distance if you get a hotel that is near the Falls with the rest easily accessible by transit bus. The Falls are illuminated every evening and there are regular firework displays during the week in the summer months. Alberta is the second westernmost province of Canada. It includes parts of the Canadian Rockies and is most well known for its oil and natural gas and for cattle farming. Calgary, Alberta’s largest city is home to the annual Calgary Stampede rodeo. Alberta is very diverse province, encompassing the wild grandeur the Rockies, the flat prairies which seem to stretch forever, to the wilderness of the northern forests. The Alberta Rockies include the world-renowned sites of Banff, Lake Louise and Jasper. Banff nestled in the mountains is located in Banff National Park, a UNESCO World Heritage Site. In the winter there is easy access to nearby ski areas. Jasper’s major attraction is the nearby Columbia Icefield with the spectacular Athabasca glacier. Lake Louise is a beautiful mountain lake in the middle of Banff National Park. It is surrounded by snow-capped peaks, and at the far end is a large glacier. Although the lake is quite isolated, it provides a magnificent setting for a luxury resort, the Chateaux Lake Louise. The province of British Columbia is one of the most beautiful regions in Canada, both for those looking for nature and for those more in tune with city life. At the heart of British Columbia is the city of Vancouver, situated between the Coast Mountains and the Pacific Ocean. It is frequently ranked as one of the “best cities to live in” and is one of the most culturally diverse cities in North America and a vacation rentals in British Columbia Canada makes an ideal base to enjoy all it has to offer. It offers a wide variety of attractions from beaches to skiing – it is said of Vancouver that it is a place where one can swim in the morning and ski in the afternoon.